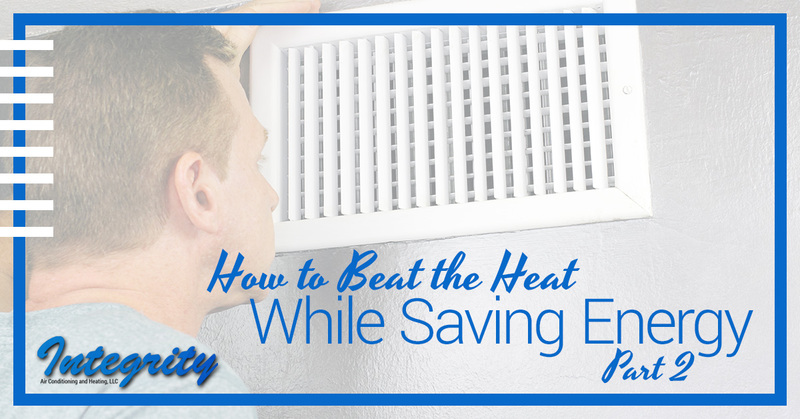 We’ve already experienced record-breaking heat this summer, but that doesn’t mean that your energy bills should break the bank. #5. Minimize air leakage in your ducts. When it comes to the efficiency of your HVAC system, there are many factors at play. 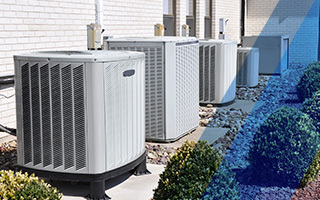 If your air conditioner is outdated, in need of maintenance or in need of repair, it could cause an increase in your energy bills, as can using your system inappropriately. However, your home’s ductwork is actually one of the more important factors when it comes to energy efficiency. ENERGY STAR estimates that up to 30 percent of the air that moves through the typical home’s ductwork is lost because of holes, leaks and improper connections. At Integrity Air Conditioning and Heating, we can provide you with ductwork analysis to catch and repair any issues with your ductwork. We also offer duct insulation, which can help to improve the efficiency of your ducts. Don’t forget about the other places air could be leaking out as well, like around windows and doorways. Weather-stripping and caulking can go a long way towards reducing air leaks in these areas. #6. Get your air conditioner maintained. Skipping the regular maintenance on your air conditioner can be incredibly pricey. For example, it’s important to replace the air filter in your air conditioner every month. But if you let the filter get too clogged and dirty, according to the Energy.gov, it can hurt your system’s efficiency by as much as 15 percent, and that is just one of the many maintenance tasks that should be performed on your air conditioner to keep it running strong. Regular air conditioning maintenance can help you save more money than just on your energy bills, too. It can also help you avoid costly repairs down the road and get a few more years of your system. Make sure that you schedule professional HVAC service at the beginning and end of summer, and in between professional visits, be sure to keep it up by making sure that the area around your system is clear and changing the filters every month. #7. Upgrade to an energy efficient air conditioner. If your air conditioner is old and outdated, then you’ll probably still be paying higher energy bills than you could be, no matter what else you do to conserve more energy. The fact of the matter is that newer systems are designed to be much more efficient than old ones. If you think that your air conditioner might be inefficient, the first thing you should check is its SEER rating. You can find the SEER rating at the beginning of the model number. For example, if the number begins with 13AC, it means that the unit’s SEER rating is 13. The higher the SEER rating, the more efficient your system is. The federal government has mandated that all air conditioner have to have a SEER rating of at least 13, but in Arizona, a state mandate requires a minimum of 14. These mandates are fairly recent, and if your system is older, it might have a much lower SEER rating, and it’s a sure sign that it needs to be replaced. Whether you need HVAC repair, replacement or maintenance to keep your home cool and your energy bills low, Integrity Air Conditioning and Heating is here to help. Contact us today!